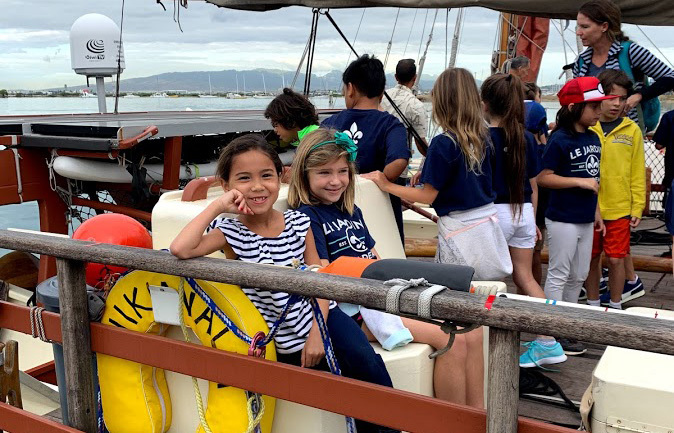 PICTURED ABOVE: Grade 2 visits Polynesian Voyaging Society Learning Center and is treated to a special tour of the Hokule'a and Hikianali'a. LJA's February parent learning will focus on the ethical use of technology. 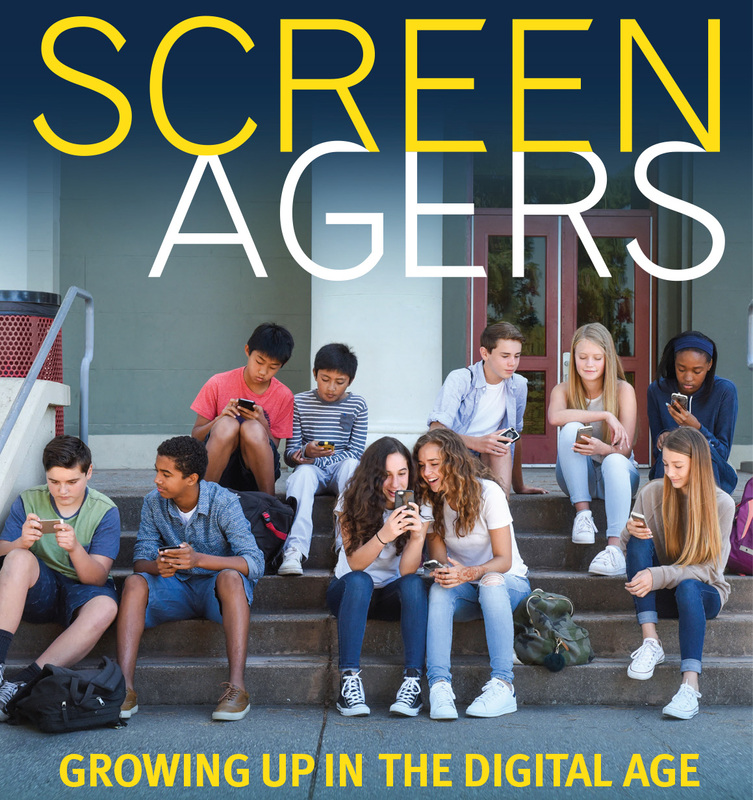 This event includes the showing of the film 'Screenagers,' which explores how teens interact with each other using electronic devices and whether parents should limit or control this behavior. The film will be followed by breakout sessions to facilitate communication between you and your child about screen time. This event is for students Grades 5-12. Over 30 LJA alumni attended a western-themed Holiday celebration at Nashville Waikiki in Aloha Tower. 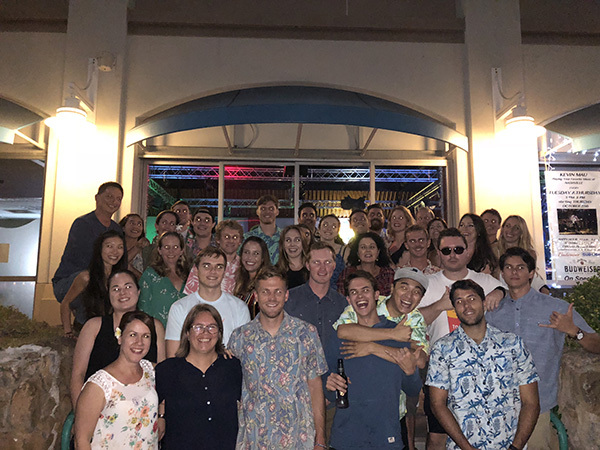 Alumni from class of 2006 to the class of 2018 enjoyed reconnecting, some BBQ fixings, and even line dancing! It's that time again! 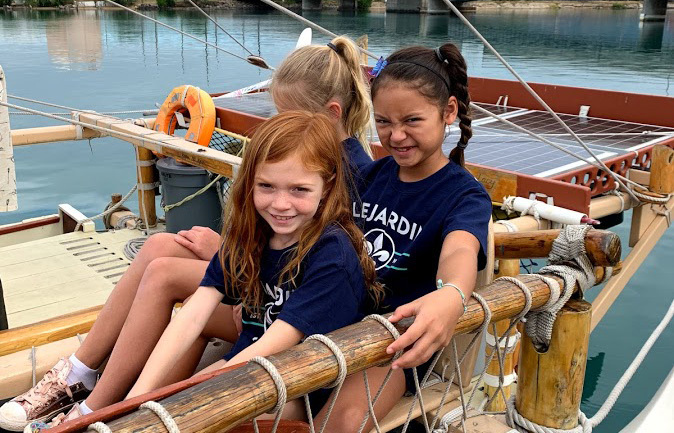 We welcome new families to our campus to see what it's like to be a part of our community at the Feb. 2 Open House. Help spread the word! Click here for more info and to share the RSVP link. Maggie Odom's '21 was certified as a yoga teacher as part of her Personal Project. Her culminating outcome is a yoga workshop. All teens are welcome! This workshop will include yoga class, guided meditation, discussion, and the creation of a meditation mala. The class is on Jan. 19 from 1-3:30 p.m. at Hot Yoga by the Sea Kailua. There is a $15 fee to cover the cost of materials. (Note: this event is not for profit.) Click here to register.